Heading into the recent event as one of the class favorites, Gangi Jr. would prove to be a master of the .85-mile, 14-turn temporary parking lot circuit. 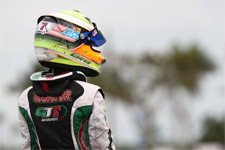 With solid runs from two previous SuperNats under his belt, including a heat race win and Super Sunday pole position in 2010 as well as a third place podium finish in 2011, Gangi Jr. was the driver to beat. 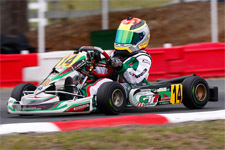 Consistently placing his GT7/Tony Kart near the top of the time sheets during the two practice days, the 11-year-old pilot would get set for Friday's qualifying session and the first wheel-to-wheel action. Clocking fifth overall in TaG Cadet qualifying, the fast-five time put Gangi Jr. in a great position for the three heat race flight format. The first heat would see Gangi Jr. move quickly into the lead, taking over the top spot and holding on for the remaining laps to take his first heat win. Saturday would see Gangi Jr. back on track for the final two heats. A great launch off the start saw Gangi Jr. move into the lead at the drop of the green. A racy battle then ensued, but Gangi Jr. was able to hold off the advances of his fellow competitors to claim another win. Heat three was much of the same, with the hot shoe again taking the lead at the start. 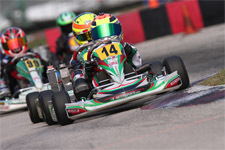 Leading the entire ten laps, Gangi Jr. completed his sweep of the heats and earned the coveted Super Sunday pole position. 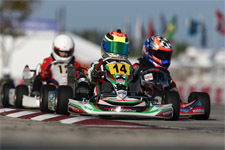 With the 16th annual SuperNats coming down to Sunday's main event, Gangi Jr. and the TaG Cadet field waged a battle for the ages during their 15-lap final. Leading the field to the green flag, Gangi Jr. made it through the treacherous first corner unscathed. 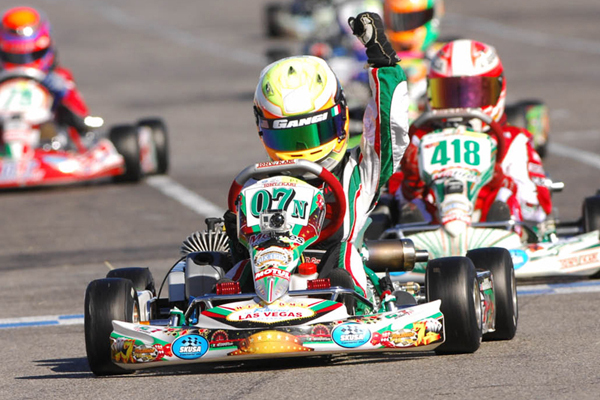 With drivers laying it all on the line for the SuperNats title, Gangi Jr. was soon overtaken for the lead. Swapping for the lead lap after lap, the race would come down to the final lap. 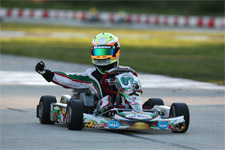 Now in a three way battle for the victory, which at times was three karts wide, Gangi Jr. emerged the big winner and earned the illustrious title of SuperNationals champion. "I am so blessed and fortunate for all my successes in 2012. I couldn't have done it without my Mom and Dad, my tuner and driver coach Chris Perez, Daniel Lambert (Disco Dan), Sargeant Motorsports, Mike Doty of Mike Doty Racing and Daniel Woltjer. Their long hours, hard work and support combined into a strong team effort and was necessary for me to compete and be successful at this level. 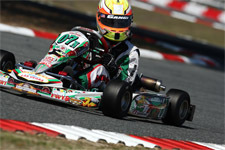 I also need to give a shout out to my karting sponsors Millwork Solutions Inc., Holeshot Drive Systems and PKT Axles," noted Anthony Gangi Jr.
With his 2012 karting season now complete and his goals of earning both the United States Rotax Mini Max Grand National Championship and the SKUSA SuperNationals TaG Cadet title, Gangi Jr. will begin to focus on plans for yet another successful season in the karting ranks.